The Carmichael mine being pursued in the Galilee Basin in Central Queensland is a dinosaur before its creation. On paper, it is hefty – to be some five times the size of Sydney harbour, the largest in Australia and one of the largest on the planet. Six open cut and five underground mines covering some 30 kilometres are proposed, a gargantuan epic. 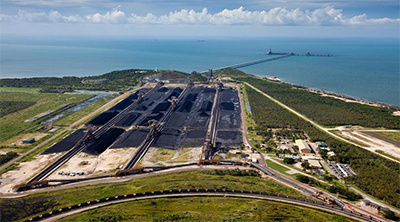 The coal itself would be transported through the Great Barrier Reef Marine Park and World Heritage Area, and would feature a rail line subsidised by the money of Australian taxpayers. Even before the initial steps are taken, its realisation is doomed to obsolescent indulgence and environmental wearing. It has been endorsed by a bribed political class best represented by Liberal senator Matt Canavan, who sees Adani through tinted glasses as a “little Aussie batter”; it is run by an unelected plutocratic one. This venture has seen Australian politicians, protoplasmic and spineless, do deals with a company run by a billionaire in a way that sneers at democracy and mocks the common citizenry. The Adani group, run by its persistent Chairman Gautam Adani, has worked out what political figures want to hear and how far it can go, even in the face of mounting opposition. His closeness to the halls of power has been noted: influential be he who has the ear of the Indian Prime Minister, Nahendra Modi. The trends in energy generation and resources are against fossil fuels, and even the banks have heeded this, refusing to supply a credit line to the company. But Adani knows a gullible audience when he sees one. Like a sadhu aware of a westerner’s amenability to mysticism, the chairman and his worthies say the rights things, and encourage the appropriate response from the ruling classes they are wooing. The company feeds them the fodder and rose water they wish to hear, and massages them into appreciative stances. The campaign by the Indian company has been so comprehensive as to include decision makers from every level of government that might be connected with the mine. Not merely does the Carmichael mine smack of a crude obsolescence before the first lumps of coal are mined; it is bound to take a wrecking ball to any emissions reduction strategy Australia might intend pursuing. (Matters are already half-hearted as they are in Canberra, poisoned by a fractious energy lobby and ill-gotten gains stakeholders.) Professor Andrew Stock of the Climate Council has explained that once coal begins being burned, Australia’s “total emissions” are set to double, nothing less than an act of “environmental vandalism”. Work on the mine will also contribute to such despoliation: the clearing of 20,200 hectares of land will add to the climate chance quotient; the Great Artesian Basin’s groundwater system will also be affected. Another graphic projection is also being suggested. For the duration of its projected 60 year lifespan, as epidemiologist Fiona Stanley reminds us, Adani’s venture will produce as much carbon as all of Australia’s current coal fired power stations combined. All this, even as the Indian state promises to phase out thermal coal imports, rendering the Adani coal project a white, if vandalising elephant. The only difference now is that the elephant proposed is somewhat smaller in scale and size.